If you have got some HEIC files on your computers and you don’t know how to access them, the following guide should teach you some of the ways to open HEIC files on your computers. Read on to find out all the available methods. 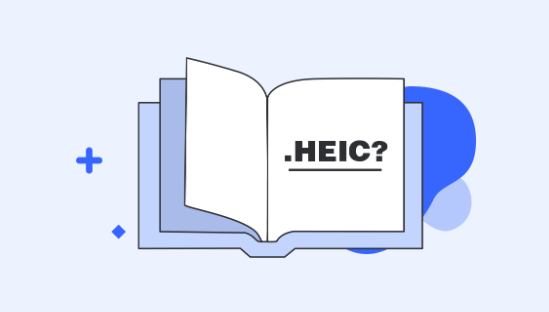 HEIC may not be a new term for many of you out there as everybody seems to now know what it is and where it is used. In brief, it is a photo file format used by Apple on its devices. If you have recently captured photos on your iPhone, your photos are likely saved in the HEIC format unless you modified your configuration to save photos in other formats. While the format should open without any issues on your iPhones, the problem occurs when you try to open these files on your computers. Since the format is not widely popular yet, your machines may or may not be equipped with the features to access the format. Fortunately, though, there are some ways to access the images saved in this format on your computer. The following guide shows how to open a HEIC file on your Windows PCs and Mac machines. If you are a Windows user, the sad news is the built-in Photos app on your PC cannot open the HEIC files by default. Luckily, there is something you can do about it and add the capability of opening HEIC files to the Photos app on your computer. Step 1. Open a browser on your computer and head over to the HEIF Image Extensions page on the Microsoft store. Step 2: Click on the Get button to download and install the extension on your Windows-based computer. Step 3. Once the extension is installed, double-click on any of the HEIC file on your computer and it should open in the Photos app without any compatibility issues. That is how you open HEIC on a Windows PC. 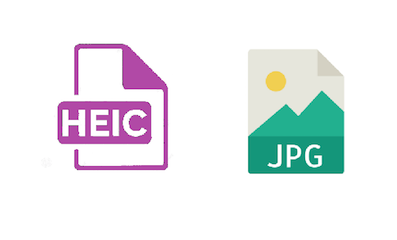 If you still can’t get the HEIC files to open on your PC, you may want to head to the last section of this guide to convert your images to JPG and then view them on PC/Mac without trouble. If you own an Apple Mac, there are two ways you can open HEIC files on your machine. Either you can update your operating system to the latest version available which will add the HEIC compatibility to your machine or you can use Dropbox to view HEIC files. The following shows both the ways for you. If you would like native support for the HEIC file format on your Mac, you must update your operating system to macOS High Sierra or later. This version of the OS brings with it support for HEIC files and you can then use the Preview app on your Mac to view such files. On your Mac, click on the Apple logo at the top-left corner and select About This Mac. 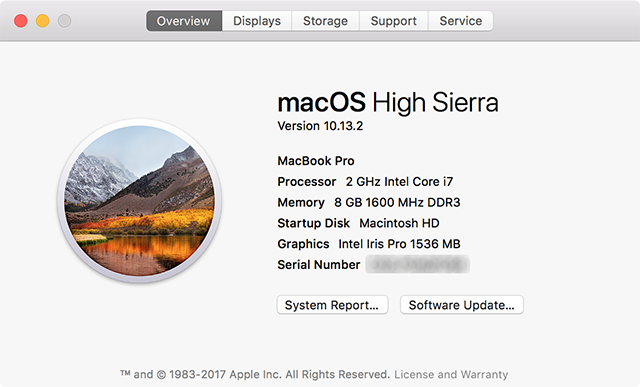 On the following screen, click on the button that says Software Update to update your Mac to macOS High Sierra or later. If you don’t mind uploading your photos from your iPhone to Dropbox and then downloading from Dropbox to your Mac, the following is what you need to do to start viewing HEIC files on your Mac. Step 1. Use the Dropbox app on your iOS device and upload all the photos you want to view on your Mac to your Dropbox account. Step 2. Install the Dropbox app on your Mac and open the folder containing your uploaded photos. You should be able to view all the HEIC files on your Mac. Support for the HEIC file format is rolling out too slow and it will still take months or years for the format to be viewable on all the machines out there. If you often face difficulties with the format on your machines, you may want to convert such files to a widely supported format so you can view the files on all of your devices. One of the tools that let you open and convert HEIC files is AnyGet HEIC Converter. It is actually a web-based app that allows you to load your HEIC files and converts them into the widely popular JPG format. Conversion to JPG – we all know how widely the JPG file format is accepted and the tool converts your files to just that format. Lossless conversion – the app ensures the quality of your images is retained and it offers three quality levels to choose from. Works on multiple OSes – the app works on both Windows and Macs so feel free to use any of your machines to view HEIC files. Step 1. Open a browser and head over to the AnyGet HEIC Converter website on your Mac/PC. Step 2. 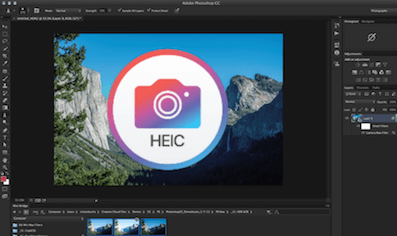 Either click on the Click to Select button or drag and drop your HEIC files onto the panel to start uploading your input files > Choose if you would like to preserve EXIF data and also choose the image quality level. Step 3. When the files are converted, download them to your computer. The downloaded files should now open in any of the image viewer apps on your Windows PC or Mac. 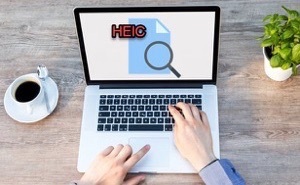 If you are not sure how to open a HEIC file on your computer, our guide above offers multiple ways to access HEIC format on both your Windows PCs and Mac machines. It is worthy to give a try to AnyGet HEIC Converter that lets your photos can be easily viewed across devices. 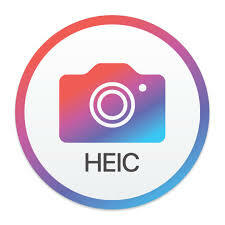 We hope it resolves the compatibility issue and lets you view your HEIC files without any issues.